West Windsor, NJ – The Princeton National Rowing Association (“PNRA”) is pleased to welcome Katelin Guregian to our team as the Manager of Community Development. In this position, Ms. Guregian will work to develop a philanthropic base for PNRA, especially to support the expansion of the Caspersen Rowing Center. Slated to break ground in March 2018, the expansion will more than double the size of the facility ensuring PNRA’s continued role as a premiere rowing center in country. As the coxswain of the Winter Park High School Men’s 8+, Ms. Guregian won the 2005 Scholastic Rowing Association National Championship on Mercer Lake. While at the University of Washington, Katelin steered their men’s team to multiple Intercollegiate Rowing Association (IRA) National Championships. 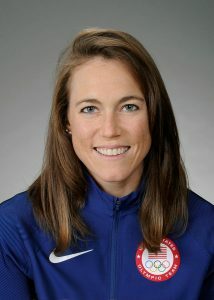 Since 2009, she has been a member of USRowing’s Princeton Training Center. Katelin has coxed the USA women’s 8+ to two Under-23 World Championships, four Senior World Championship Gold medals and an Olympic Gold Medal at the 2016 Rio Olympic Games. She has also served coach for PNRA’s Mercer Junior Rowing Program.